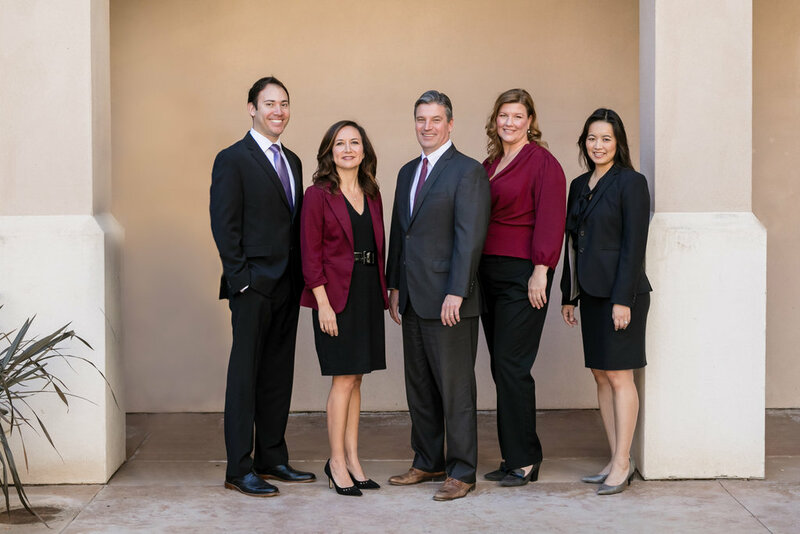 Sullivan, McGibbons & Associates LLP represents individuals, families and fiduciaries throughout Southern California in the areas of estate planning, trust and estate administrations, and probate law. We assist clients in all aspects of estate planning to ensure the efficient management and transfer of property during life, upon incapacity, and at death. We work closely with clients to understand their unique financial and personal situation, identify and analyze their options, and create a customized plan that meets their goals. We also assist clients in the administration process, whether it is a post-mortem administration, irrevocable trust administration, or a probate. We advise our clients throughout the administration process regarding their duties and responsibilities and help them navigate the complex issues. We are dedicated to providing each client with exceptional service and personalized attention and strive to give each client peace of mind. We also believe in the importance of giving back and are committed to volunteering at various non-profit organizations that serve the San Diego community. Phil and Jennifer are Certified Legal Specialists by The State Bar of California in Estate Planning, Trust and Probate Law. Phil Sullivan is member of the prestigious American College of Trusts and Estates Counsel, and Jennifer McGibbons was recognized as the Best of the Bar in 2015 by the San Diego Business Journal and was named a Top Attorney in Estate Planning/Probate & Trust/Tax in the Daily Transcript. Both Jennifer and Phil have been included in Super Lawyers in Estate Planning & Probate. For further information on the firm’s trust, estate, and probate services, please give us a call.